"Arafel": The Art of the "T.T.Ps" with Frankie and his Wife Philis #GMOs: How Eugenics is the Real Politik. The Art of the "T.T.Ps" with Frankie and his Wife Philis #GMOs: How Eugenics is the Real Politik. Quote; "The terms of Obama’s proposed TPP ‘trade’ treaty with Asian countries won’t be made public until the treaty has already been in force for at least four years. The terms of Obama’s proposed TISA (Trade In Services Agreement) with 52 nations won’t be made public until the treaty has already been in force for at least five years. 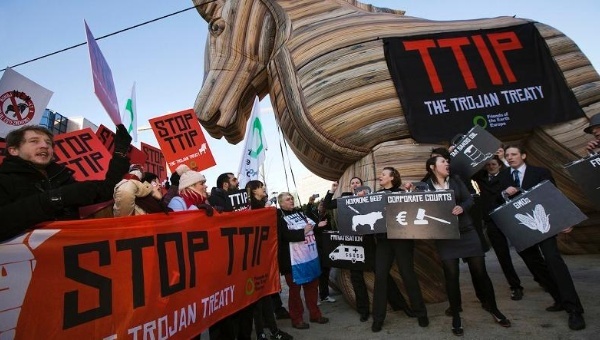 Obama’s proposed TTIP treaty with European countries has been so successfully hidden, that even the number of years it will be kept from the public isn’t yet known. Hello, international fascism — all in secret, until too late for the public to do anything. Comcast is one of the few companies that have been brought in behind closed doors – where our elected Representatives don’t even get to go – to help review and consult with leaders about the global trade agreement. Comcast is hungry for the power they would receive from the TPP because it would gut regulations for all industries, so they had to silence the only voice on their new network that had the courage to talk about how horrible the trade deal would be for American citizens. 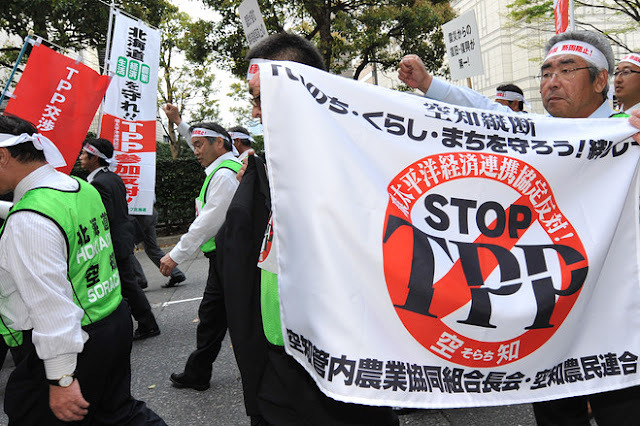 Quote;"The TPP would require us to allow food imports if the exporting country claims that their safety regime is "equivalent" to our own, even if it violates the key principles of our food safety laws. These rules would effectively outsource domestic food inspection to other countries.